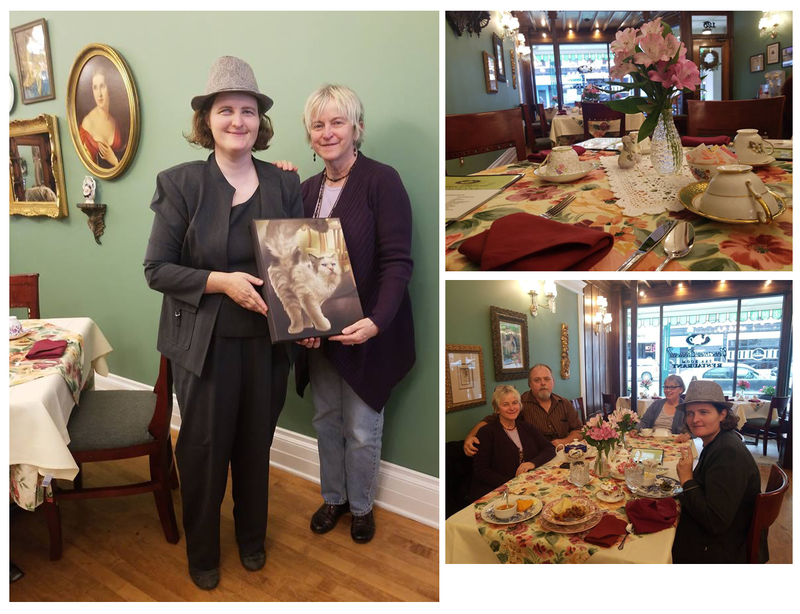 One of my clients drove several hours to pick up her portrait of beloved cat, Marlee, and met me at our local Tea House: “The Governor Croswell Tea Room” in Adrian, Michigan. We enjoyed some fantastic lunch and specialty tea. The owners went out of the way to greet us and give us a little history of the place and my home town. We had an excellent time and then went for a little shopping at the gift shop across the street – where there was something for everyone’s taste. I wish every one of my client interactions could be this fun and this personal. That’s my only regret having an online business I don’t see most of the pets or their guardians in person. This, however, was a wonderful Saturday. Marlee is a 17 year old fluffy cat girl who expects everything to go her way. Her family wanted something special to remember her by and hired me to memorialize her in preparation for the day she leaves them.